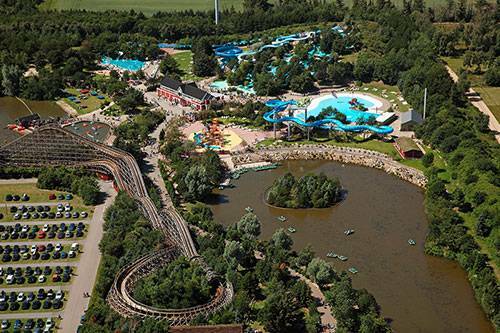 Close to the beach and yet in the forest you will find the amusement park Fårup Sommerland. Fårup is one of Denmark's largest tourist attractions with plenty of wild, fun and crazy water activities for the whole family. Everything from wild roller coasters and a children's theme park to Denmark's largest and wettest water world. There are more than 60 rides - and once the admission has been paid, all rides and the Aqua Park are free. The youngest can take a ride in "Den Røde Baron" where the little pilots control their aeroplanes themselves. Another of the children's favourites in Fårup is the "Egerntårnet" where you are elevated up to the tree tops and with a free-fall, you rush back to the ground. For the speed crazy guests, there are fast and furious roller coasters with plenty of speed. The Hurricane roller coaster runs both above and BELOW the water! It is also possible to try Denmark's wildest acceleration in the roller coaster "Lynet", which shoots off from 0 to 80 km/h in just two seconds. 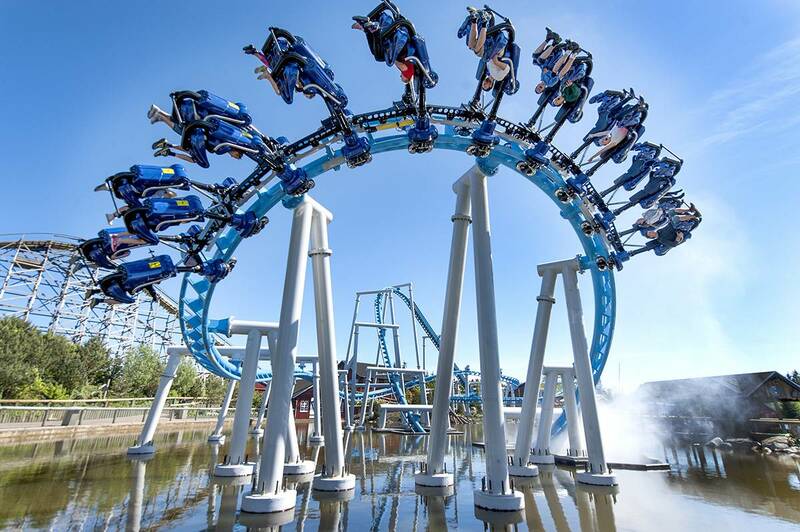 Or how about a ride in "Falken", Denmark's fastest wooden roller coaster or "Hvirvelvinden" where you are tossed up and down from a 19-metre height while rotating. You can also romp about on bouncy castles, numerous trampolines, horse riding, canoeing, shooting, climbing frames or try all the elements in the huge playground. 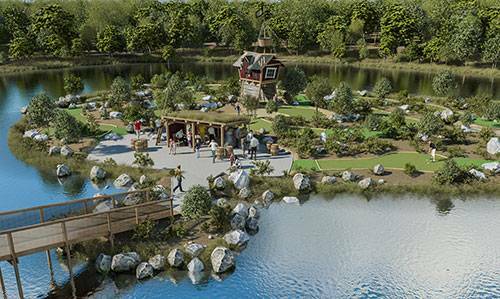 In 2018, Fårup opened a brand new adventure mini golf course with 12 holes. The golf course has its very own island and is intended for both children and adults with various degrees of difficulty so the whole family can play - regardless of age and experience. In Fårup you will also find Denmark's biggest heated Aqua Park - and as something entirely new, the water in the Wave Pool is now heated to 27 degrees. In the Aqua Park, the whole family can race each other on Surfhill, splash about in the wild waves in the Wave Pool or ride together in a huge swim ring in the "Vandslangen". You could also try the "Vandkanon", which is the world's first outdoor water roller coaster with a free fall and two loops. When your time splashing about is over, you can laze in the shade of the trees and conjure up a great meal in the grill area where the Weber barbecues are ready for you - completely free of charge. The whole family can find their favourite dishes. In 2015, 2016 and 2017, Fårup was elected as the second best amusement park in Europe (less than 1 million guests). In 2015, Fårup's personnel were also given an international award for providing the world's third best service.